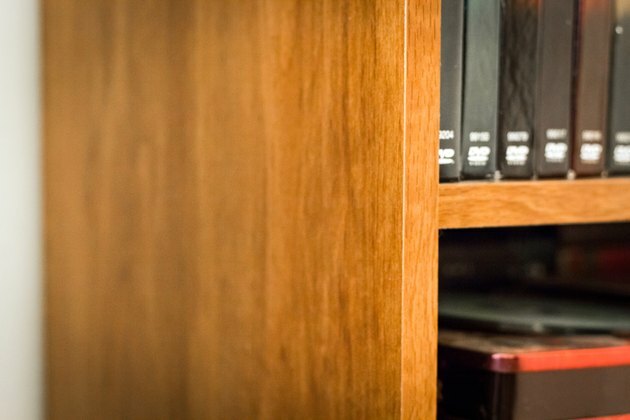 Veneer furniture requires the same type of care used for your wood furniture, but with a gentler touch. Since the veneer layer is paper-thin in many cases, cleaning should be done with the direction of the wood grain to avoid snags that may damage or even tear the veneer over time. 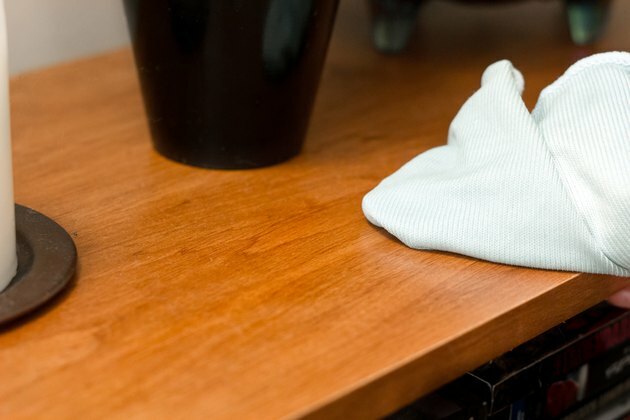 Wipe the furniture down with a damp lint-free cloth, following the direction of the wood grain for regular cleaning. Wipe the veneer dry with a lint-free cloth, again following the direction of the grain. This helps prevent snags that may cause additional damage to the veneer. 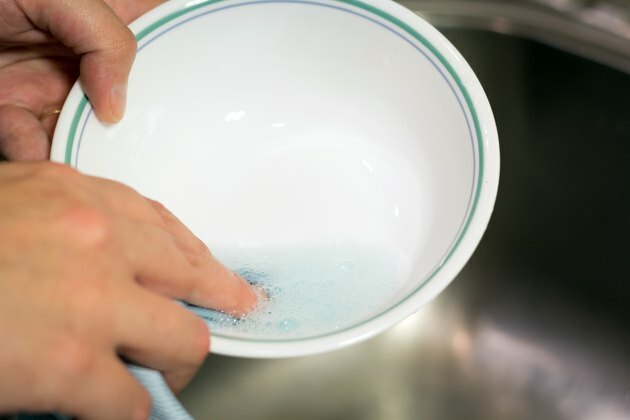 Add a few drops of oil soap to a small bowl of warm water. Swish the liquid around with a lint-free cloth to blend the soap in. Wring out the cloth and use it to wipe down spills or caked-on debris, following the veneer grain. Follow up with a damp lint-free cloth and then a dry cloth, always wiping in the direction of the grain. Use the oil soap mixture when going after fingerprints, dirt and grime buildup.